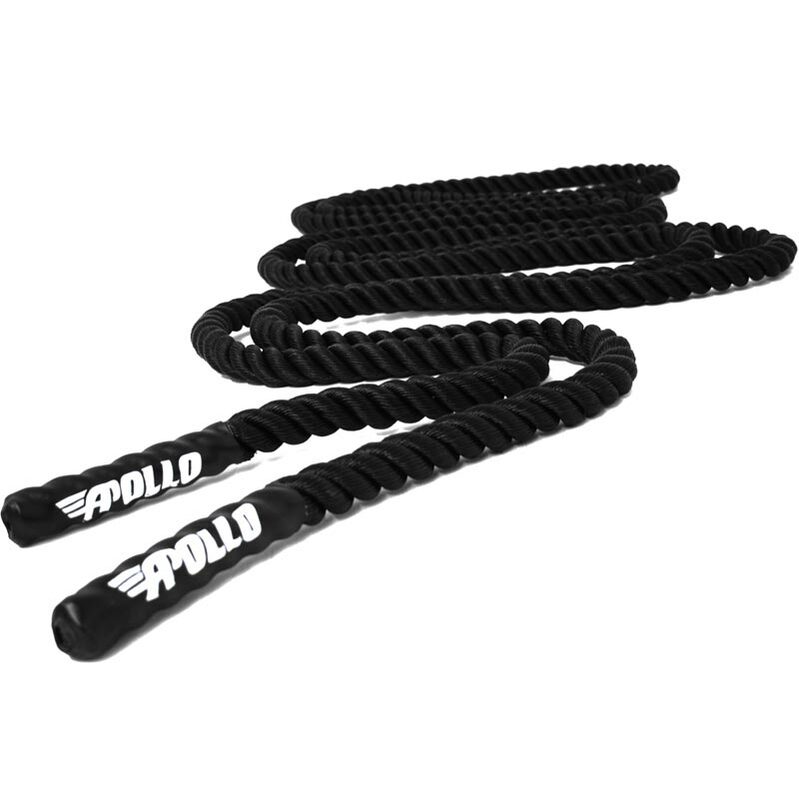 Training with Battle Ropes has become an increasingly popular form of overall strength and conditioning training. Athletes and coaches have discovered that rope training has resulted in positive improvements in overall functional and core strength. It provides a crushing upper-body cardio workout in a very short period of time. With it being easy to set up and easy to use it's a must have piece of equipment. 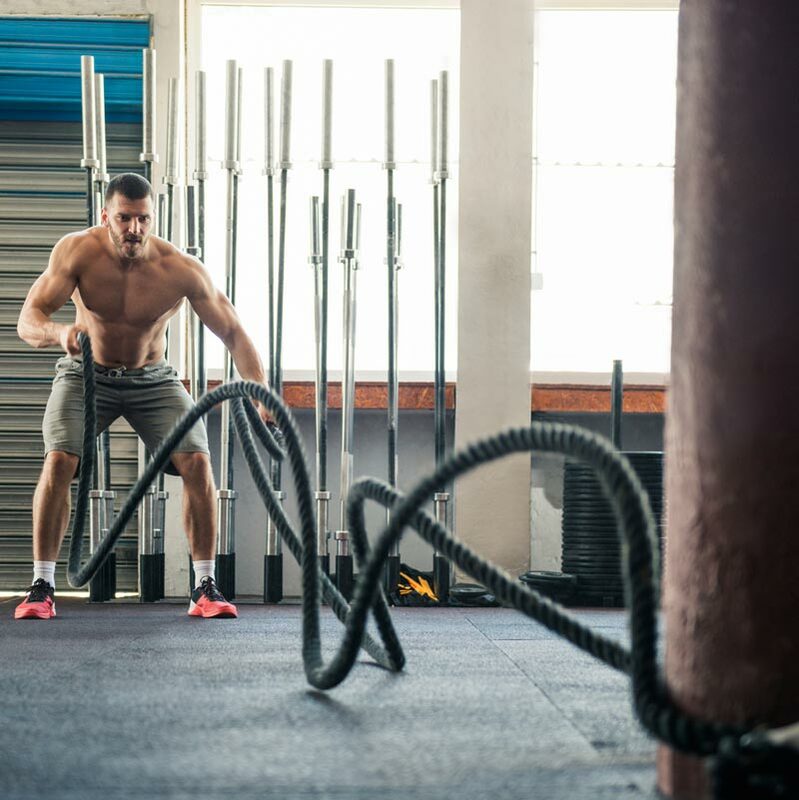 Using a Battle Rope has obvious cardio and upper body benefits however it also improves co-ordination emanating from the core, which increases your core stability and strength. Available in 2 diameter thicknesses 38mm and 50mm. End caps to ensure a comfortable grip. Please see the weight of the ropes below. 4 out of 5 Really good for the price. I use the rope to train other people mainly women and the grip size and the weight of the rope is perfect and seems to suit most. Even the stronger guys struggle after a few sets of using it. The middle has started to fray around were the anchor has been but for the price it's expected. Worth getting. This is btilliant You don't have to do a full workout with the battle rope if you don't want to. But you feel the full benefit by short 30 / 40 second sperts for your body to feel it. For me im not after being muscle bound but to just to keep myself fit, and it suits my requirements. Great product. feels and looks really durable. 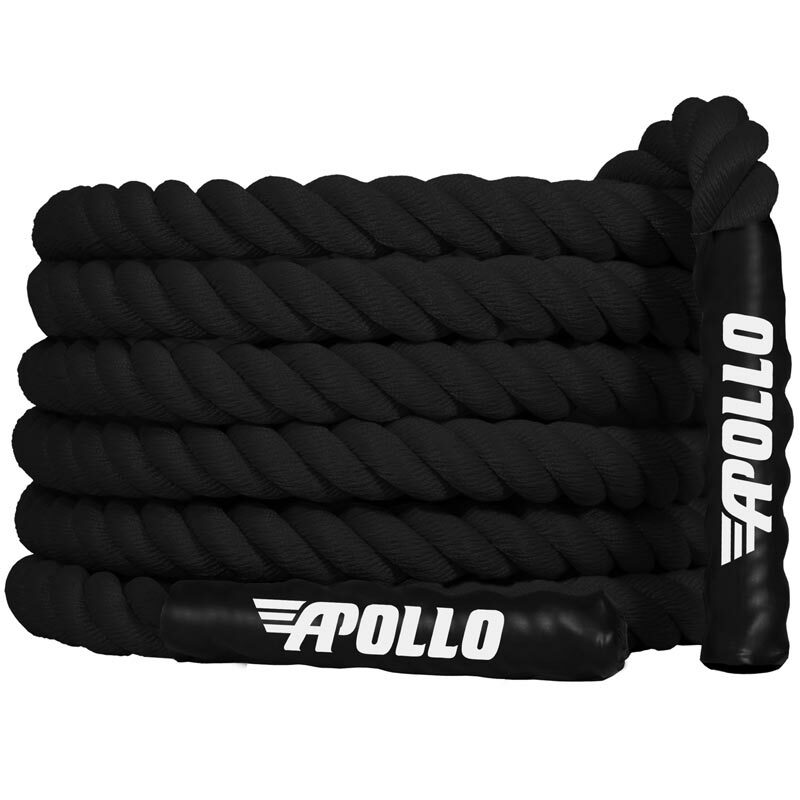 It is one of the best battle ropes iv ever used. Brilliant gear. I was in a rip use and needed a battle rope for a personal training session due to start in just 2 days. The service was great everything arrived on time and I was the than happy with the look and feel of the product. It ended up being the highlight of my group training session with everyone excited to use it from the start and hating the struggle of the exercise by the end. Great product and will be buying more in the future as we expand. 5 out of 5 Battle Rope! Purchasing the battle rope was an excellent choice thanks to newitts! Can be used for many different exercises and a bit of competition tug of war to end a Bootcamp with! This is a great training product. It will give you great all over body workout. All you need is a little imagination and pole to put the rope around and way you go. The ropes are coated in a water proof material, which durable. You body will be aching after training with these ropes!